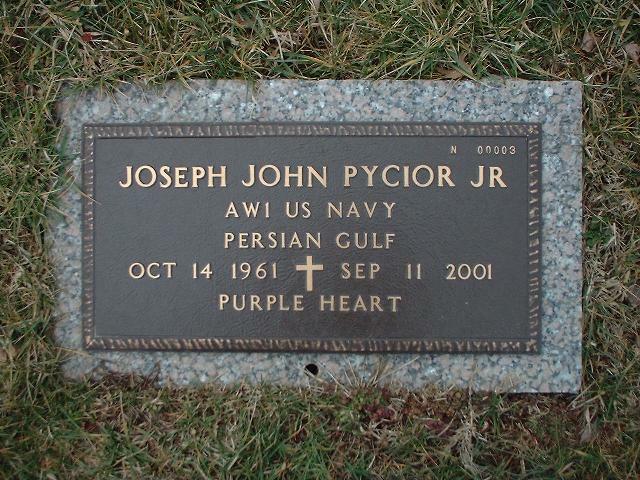 AW1 Joseph John Pycior Jr.
Unit: Aviation Warfare Systems Operator First Class, U.S. Navy. An Aviation Warfare Systems Operator First Class in the United States Navy, he was working in the Pentagon when Islamic terrorists deliberately crashed American Airways Flight 77 into it on September 11, 2001. He was a native of Carlstadt, New Jersey. 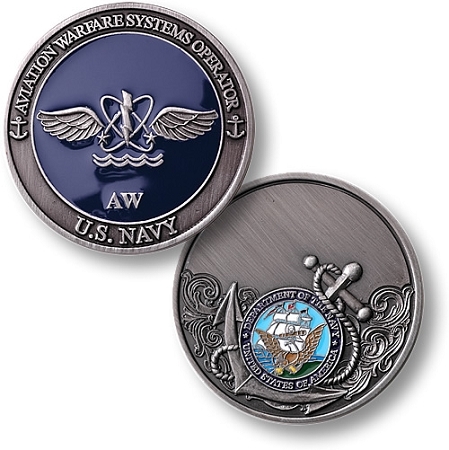 Rank-AW1-U.S.Navy-Persian Gulf. 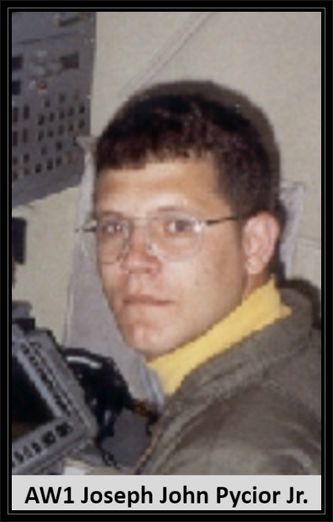 Joe died at the age of 39 during the terrorist attack on the Pentagon. Joe is buried at the BG William C. Doyle's Veteran Cemetary, Wrightstown, NJ Section N, Site 00003. Joe enlisted in the Navy at Newark, N.J. on June 24th, 1980 and went through the Recruit Training Command in Great Lakes, Ill. from June 1980 through August 1980. From boot camp, Joe served as a Boatswain's Mate aboard the USS William S. Sims (FF 1059) from January 1982 through July 1983. He then served aboard the USS Seattle (AOE 3) from January 1984 through October 1985. Finally seeing the light, Joe decided to become an AW. After training he flew as an acoustic sensor operator with Patrol Squadron Eight from December 1986 through June 1991. It was during this tour that Joe was advanced to AW1 on December 16, 1988. From VP-8, Joe headed to the Navy Recruiting District Philadelphia from September 1991 through October 1996. To survive five years as a recruiter says a lot about Joe's professionalism. Joe headed back to sea duty, first attending CV-TSC training at Fleet Combat Training Center Atlantic in Dam Neck, Va. from March 1997 through May 1997. From there, he headed to Norfolk to serve on the USS George Washington (CVN 73) from May 1997 through February 1999. His last command would be working for the Chief of Naval Operations in the Pentagon beginning in March 1999. Joe's Awards and Decorations include the Purple Heart, two Navy and Marine Corps Commendations Medals, five Navy and Marine Corps Achievement Medals, the Meritorious Unit Commendation, four Sea Service Deployment Ribbons, two Armed Forces Expeditionary Medals, the Navy Expeditionary Medal, the Navy "E" Ribbon, the National Defense Service Medal, the Joint Meritorious Unit Award, four Southwest Asia Service Medals, the Antarctic Service Medal, five Good Conduct Medals, the Kuwait Liberation Medal, the Navy Unit Commendation, the Navy Recruiting Ribbon, the Rifle Marksmanship Medal, and the Pistol Marksmanship Medal. Follow this link to learn more about the Pycior Memorial and other dedications.